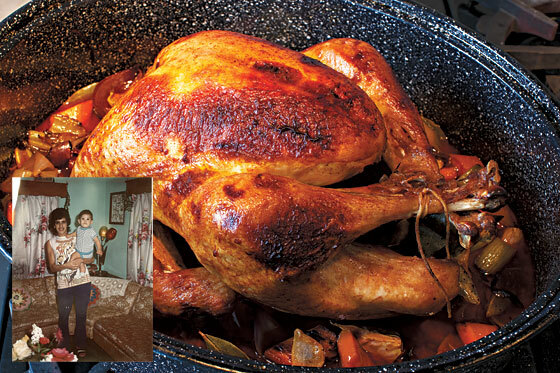 George Mendes’s Portugese-inspired turkey. All food photographs by Hans Gissinger. Family snapshots courtesy of the chefs. When it comes to Thanksgiving dinner, tradition and family, of course, are as important as turkey and stuffing. Oh, and it doesn’t hurt if everything is really, really yummy. To ensure that your holiday meal meets all of these criteria, we asked a collection of top New York chefs to share some of the recipes their own mothers cooked at their childhood turkey-day dinner tables— or their own updates thereof. The results, on the following slides, provide a tasty, and homey, soup-to-nuts feast. Food styling by Alison Attenborough; Prop styling by Theo Vamvounakis. All recipes serve 8. 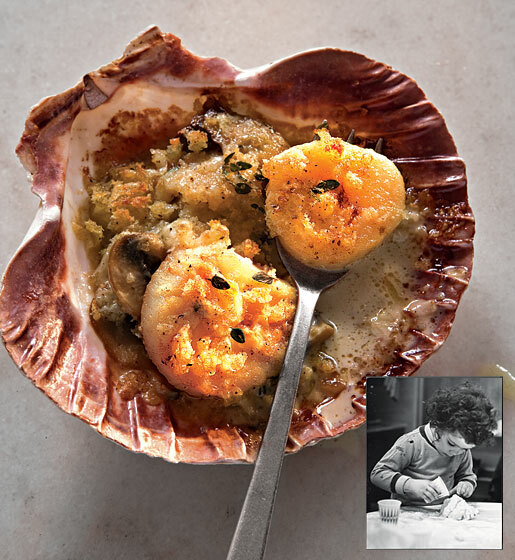 Alexandra Guarnaschelli, the chef at Butter, says her mother (cookbook editor Maria Guarnaschelli) was going through a Julia Child”inspired French phase when her Gruyère-rich scallop gratin first came out of the kitchen. Since then, Guarnaschelli hasn’t so much as tweaked the recipe. The mushrooms, shallots, and vermouth play up the scallops’ natural sweetness; the toasty, thyme-seasoned bread adds a savory crunch. Even the old-fashioned serving size is part of the charm, Guarnaschelli says: “It’s so small, you want more.” See the recipe. 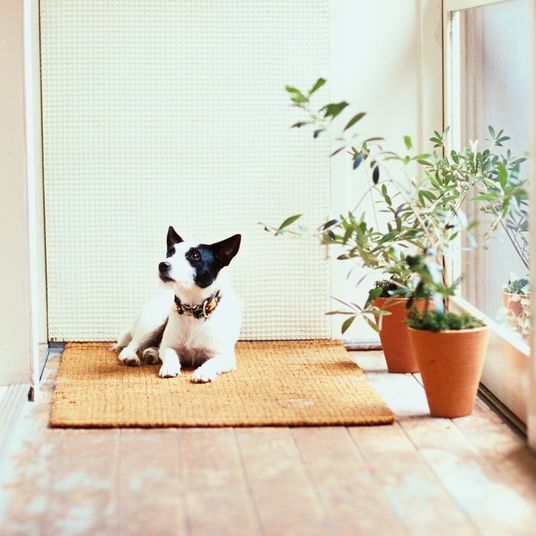 Photo inset: Alexandra Guarnaschelli, 1974. Inspired by Fernanda and Natalia Mendes. In Aldea Chef George Mendes’s large Portuguese family, his mother, Fernanda, and aunt Natalia co-headed the preparation of the Thanksgiving feast and its all-important bird. 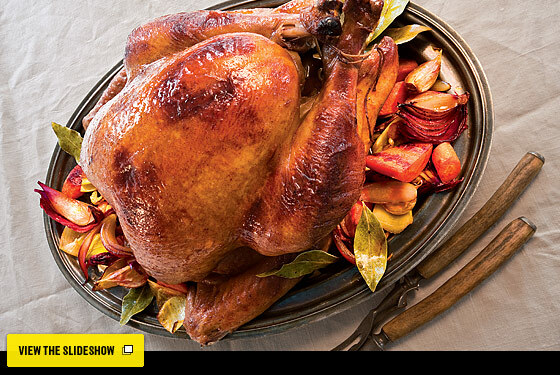 After soaking the turkey in a Portuguese marinade, they cooked it in an old-fashioned roaster before browning it to a deep orange. Mendes has added brining to the process”for another layer of flavor”but otherwise stays true to the family recipe. The perfectly roasted bird picks up traces of smokiness from Spanish paprika and a hint of sharpness from vinho verde. 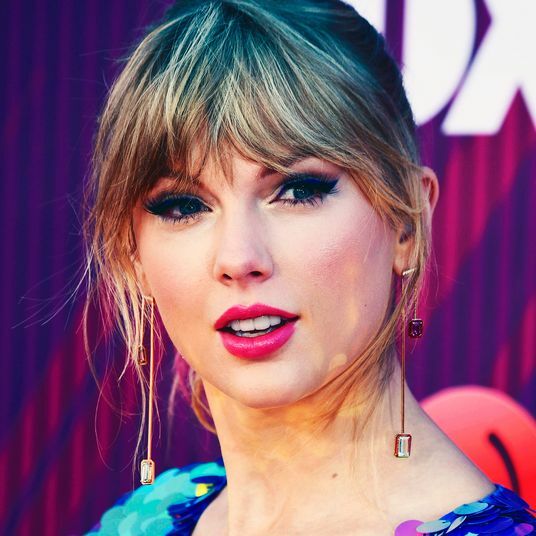 “The beauty is the simplicity,” says Mendes. See the recipe. Photo inset: George Mendes and his mother, 1975. Inspired by Chung Hi Woo. 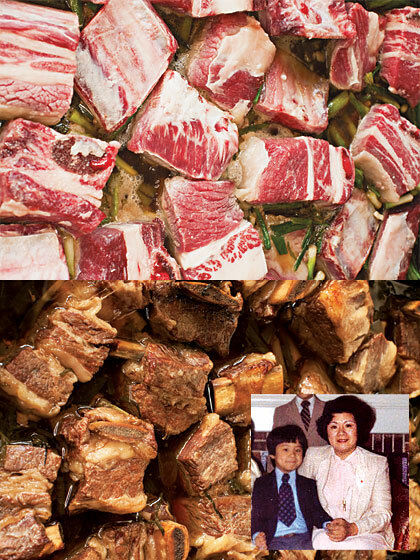 David Chang’s Korean mother, Chung, made her soy-braised short ribs whenever there was anything worth celebrating. For his extended family’s 50-person potluck-style Thanksgiving dinner, she served them alongside traditional turkey and stuffing. And to great acclaim: “My mother always messed up the turkey, but never the beef,” Chang says. Soy sauce, pear juice, scallions, mirin, and garlic enhance the ribs’ intense beef flavor, while the slow-cook process leaves the meat remarkably tender. See the recipe. Photo inset: David Chang and his mother, 1983. Ciano Chef Shea Gallante says his mother, Carol, was way ahead of her time, emphasizing healthy, locally sourced food in her cooking and not allowing sweets at home. 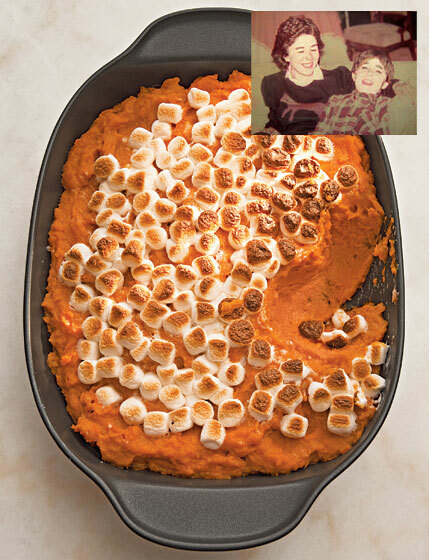 That is, except on Thanksgiving, when the kids knew they could expect marshmallow-topped sweet potatoes. Today, Gallante takes the decadence even further, with more butter, smoked cheese, and a finish of sea salt. The smoky Pecorino gives a bacon-y effect: “It’s one of the nuances people like, especially paired with something sweet and rich,” he says. “Once a kid, always a kid.” See the recipe. Mami baking dish from Alessi on Madison. Photo inset: Shea Gallante and his mother, 1983. When the Fatty Crab’s Zak Pelaccio was growing up, his mother Linda’s cooking was so popular among his neighborhood friends that they inevitably came scavenging for leftovers after Thanksgiving dinner. 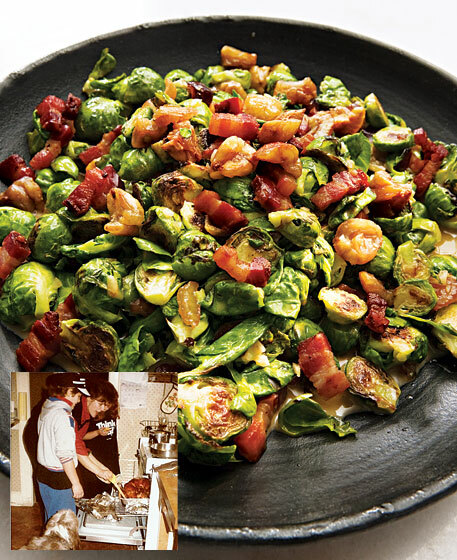 The most sought-after menu item was, improbably enough, Brussels sprouts. Now that he shares the holiday-cooking duties with his mom, Pelaccio adjusts the original recipe only slightly, adding garlic, thyme, and a little maple syrup to balance out the vegetable’s bite. See the recipe. Photo inset: Zak Pelaccio and his mother, 1984. 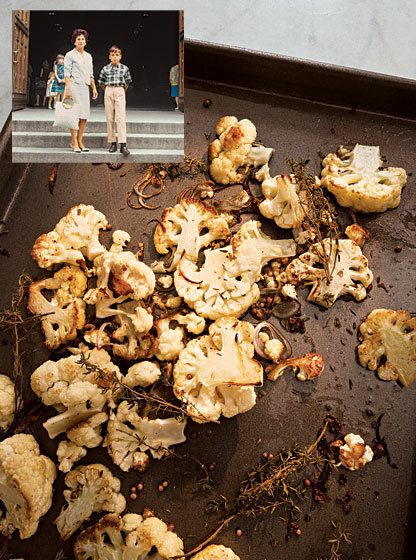 At his family’s Thanksgiving get-togethers, Gotham Bar and Grill chef Alfred Portale’s Italian-American mother, Connie, insisted on a few culinary traditions, none more essential than the requisite Italian-style baked-cauliflower dish. Portale has since revamped that preparation into a warm cauliflower-based salad, which is caramelized in the oven, then enhanced with seasonal ingredients like cranberries, apples, and roasted nuts. See the recipe. Photo inset: Alfred Portale and his mother, 1965. 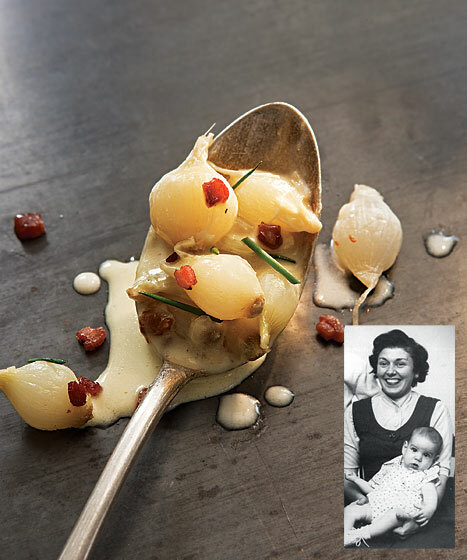 With six children and a night job, Per Se chef Thomas Keller’s mother, Betty, rarely had time to cook. But for Thanksgiving she faithfully produced a feast that included her own favorite dish: creamed pearl onions. Though Keller was an onion-averse child, he eventually found them to be a culinary opportunity, overhauling his mom’s recipe. 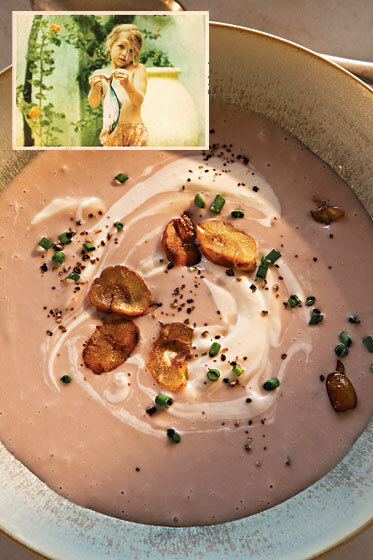 Keller’s revised version replaces canned and frozen ingredients with fresh ones, and adds sherry, chives, and bacon fat to intensify the flavors. 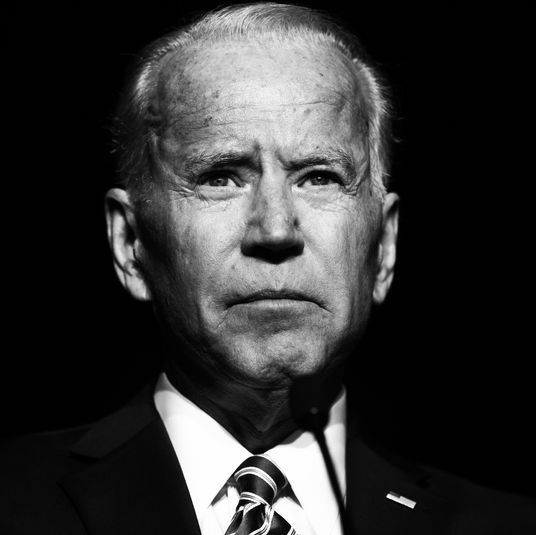 “I like to take a dish that was quality then and bring it up to today’s standards, now that we know better and have everything fresh in the grocery store,” he says. See the recipe. Photo inset: Thomas Keller and his mother, 1956. 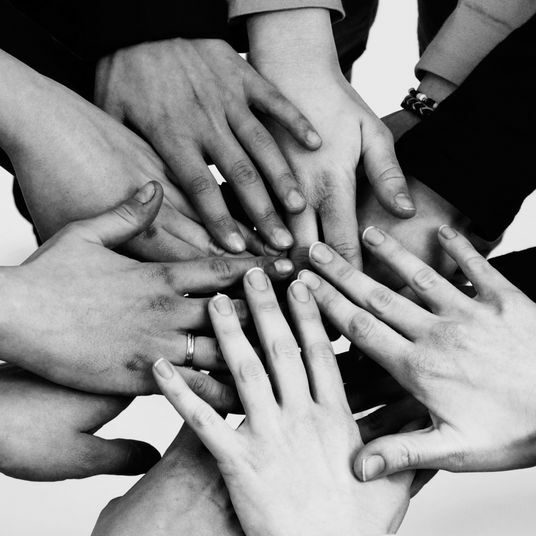 Inspired by Esther and Michael Corvelli. In Craft chef and owner Tom Colicchio’s household, it was his grandparents, Esther and Michael Corvelli, not his mom, who handled the Thanksgiving cooking duties. Young Tom’s favorite dish was their sausage-laced stuffing. He liked it so much, in fact, he eventually took over making it, but not without some experimentation. 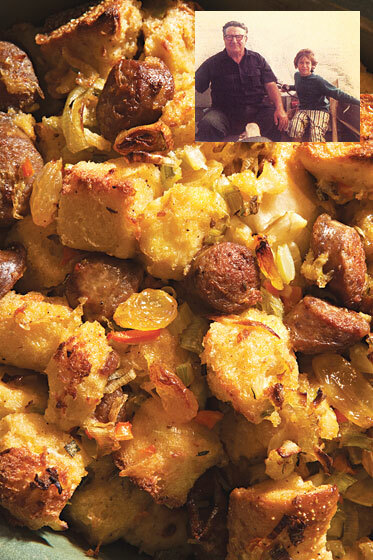 “One year I tried using golden-raisin-and-fennel bread, and it worked well,” Colicchio says. The outcome is a trifecta of rich, sweet, and crunchy. See the recipe. Photo inset: Tom Colicchio and his grandfather, 1972. When Thanksgiving rolled around, Mario Batali’s French-Canadian mother, Marilyn, would toil for days in advance. 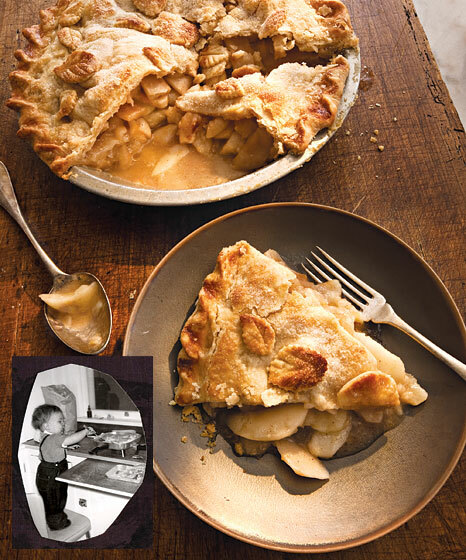 To Batali, nothing was more worth the effort than her all-American apple pie. Though his mom chose standard Roma apples, Batali makes his version with Macouns because of their acidity. And in Batali’s recipe, pork lard shamelessly takes the place of Crisco to create a flakier crust, with the faintest flavor of ham. 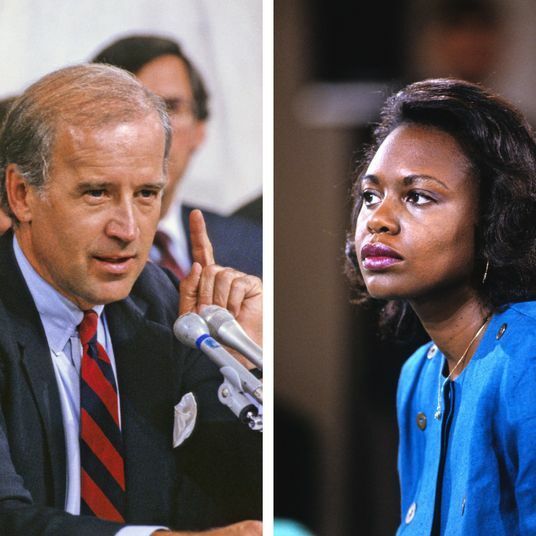 “My mom’s pie is still better,” he says. “But given a second choice, I’d say mine.” See the recipe. Photo inset: Mario Batali, 1963. Locanda Verde pastry chef Karen DeMasco’s pumpkin pie is actually three generations in the making. Her mother, Nancy, inherited the base recipe from her own mother before sharing it with DeMasco. 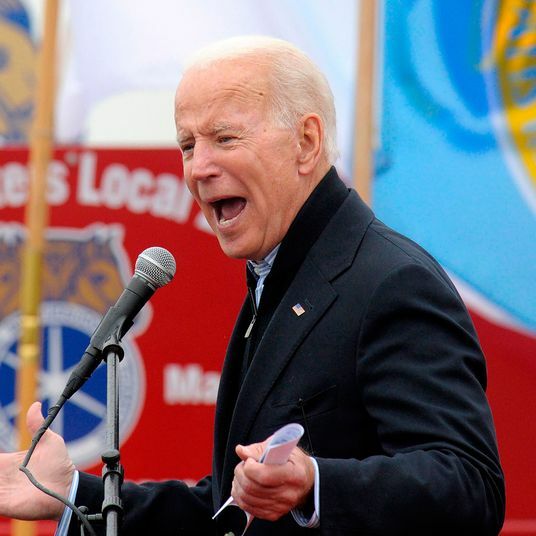 While the original had been a family crowd-pleaser for years (“My dad is insane for it,” DeMasco says. 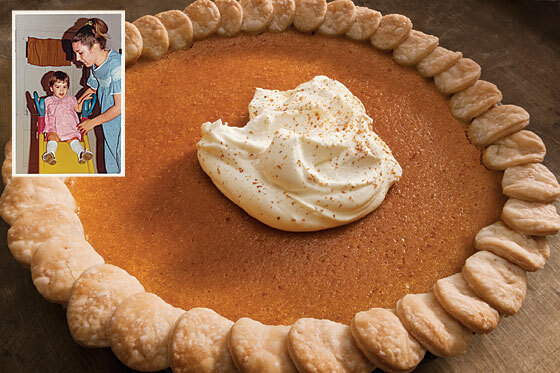 “He eats the pumpkin pie for his birthday instead of cake”), DeMasco’s rendition perfects the crust by using butter and lard, and reimagines the filling to be custardlike in consistency. 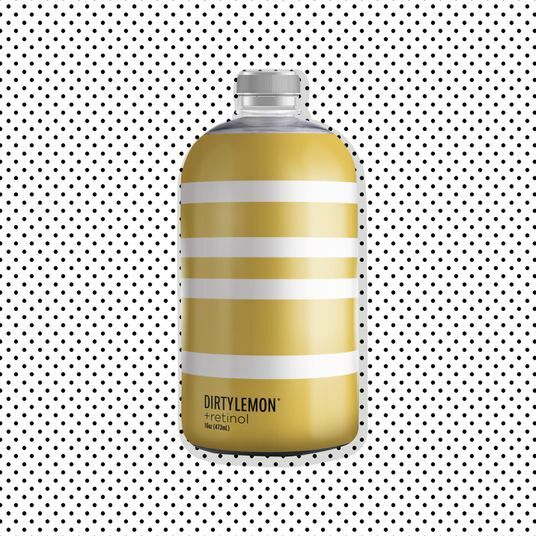 For a final hint of sweetness and spice, DeMasco adds grated fresh ginger and maple syrup. See the recipe. Photo inset: Karen DeMasco and her mother, 1973.